Customization is always being fun & creative for many people. Personalization in your baths could make it more decently stylish. 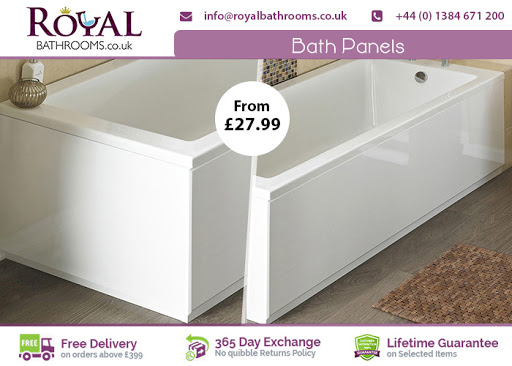 Keeping that fact in mind Royalbathrooms.co.uk is offering different styles for bath panels including premier high gloss, Hudson reed, York stone, driftwood and natural oak starting only from £27.99. Visit their website and customize your bath panel with these unique styles.